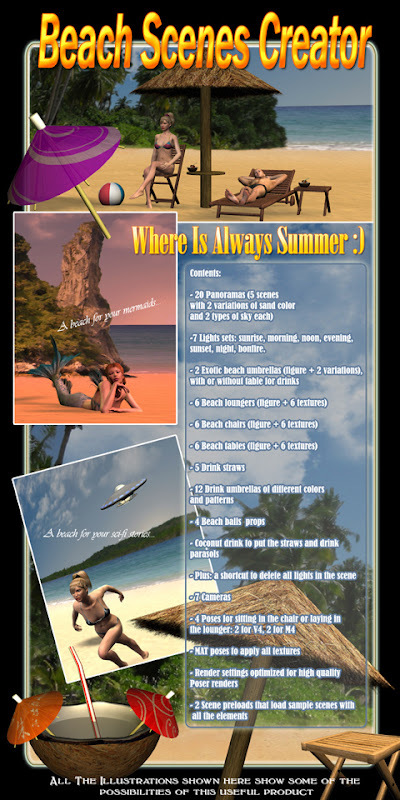 I made this product with my wife (Emma Alvarez -emmaalvarez-) for Renderosity "Beach Scenes Creator". I made the 3D modeling and she made the textures, and poses. 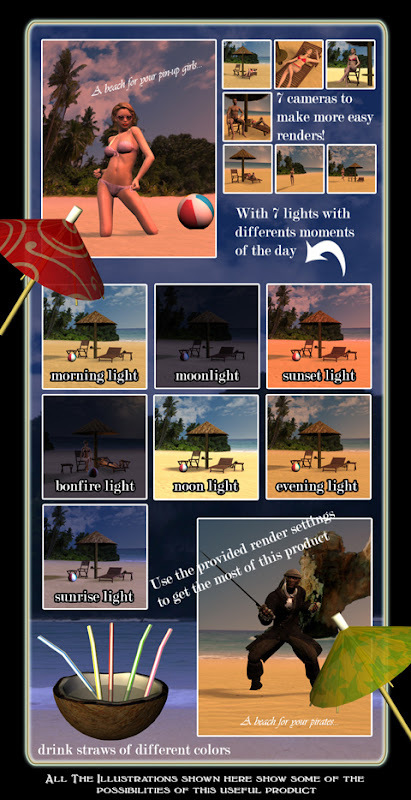 It's a really fun and useful product, that allows to create countless beach scenes. I hope you enjoy with the Beach Scenes Creator. The beach is ready, you just need your characters and your imagination. Not only for beach scenes but also for pirates, mermaids, love stories or adventurers, and much more.